EGE is always learning from their experience in their own fields, and listening to the farmers they interact with. What they heard, was to add a few more helpful products. “We are excited about the three new products rounding out our quality selection of products.” ShackLock introduces a new water conditioner and drift control option, while Absil is an organosilicone with MSO for better absorption and wetting technology. The final product is Fury, which is a high surfactant oil concentrate, which will help maximize your chemical. The line of EGE products also include Absorb 100, Padlock, Padlock PLUS, Extend, Rivet 90, Shackle, and Shackle EXT. 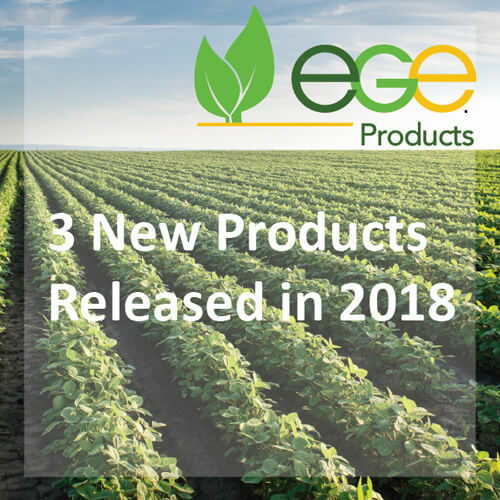 EGE’s products do not contribute to drift issues, which is one of the biggest hurdles for farmers. The premium performance gives peace of mind and frees farmers to use the chemicals that will work best for them with a higher percentage of the costly application staying on target. they wanted to help their customers accomplish exceptional spray applications.